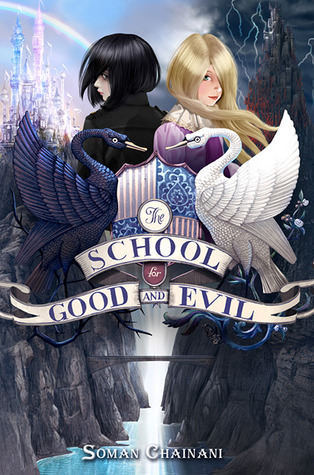 A close friend of mine and I are taking one of our favorite books, The School for Good and Evil by Soman Chainani, and writing its plot into a spoken word poem for two voices. We're going to be voicing the two main characters, Agatha and Sophie, in our poems and such. We're working on this as a long term project. We're doing this to express our creativity and love for the series and also to spark others' interest in the story. We practiced a scene on our English class which seemed to spark interest in at least two or three people. We're not being pesky advertisers; our first and foremost purpose is to share the story with some others. Here is the cover and summary if anyone wants to see it. Our videos will be recorded in costume and posted here. Our prologue is going to be the poem on one of the inside covers, but from there on it is original. Thanks for checking this out. I'd expect our first video in a week or so.